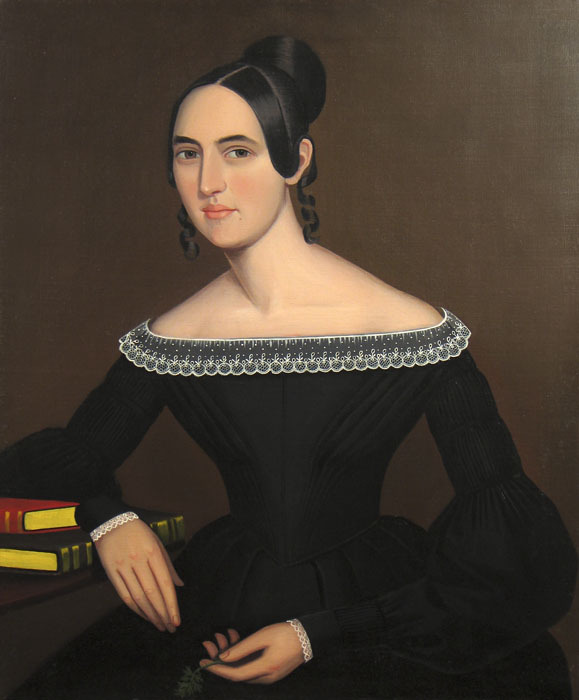 Literature: Barbara and Lawrence B. Holdridge, "Ammi Phillips: 1788-1865," Connecticut Historical Society Bulletin 30, no. 4 (October 1965), 115, 135 (illustrated), no. 106; Mary Black, and Barbara C. and Lawrence B. Holdridge, Ammi Phillips: Portrait Painter 1788-1865 (New York: Clarkson N. Potter, Inc., 1969), 51, no. 224.